Clean, crisp custom embroidery can add a professional look to garments of various styles and fabric types. Print to Suit works to provide quality embroidery that will look great and last in tough work environments. Our graphic artists can digitize even complex designs to prepare them for your specific garment type. Choose from multiple imprint locations to design a look that is truly unique. Please take a moment to view our standard embroidery fonts. *Allow 3-5 business days for us to embroider dropped off items. 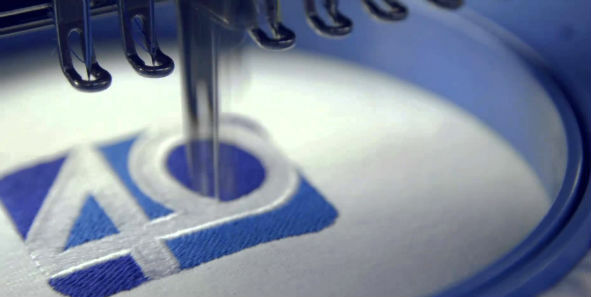 Allow 7-10 business days for us to embroider garments purchased through Print to Suit. Rush order service is also available. Looking for patches? Contact us to learn more.